written by Nazia Mukhtar on Jan. 9, 2018, 8:29 p.m.
Macheey ho to achee! Yes, you heard it. We all love to eat the best crispy fried fish with a desi twist to it. We all have fish now and then but the angrezi version of fish and chips with a creamy tartar sauce or the same old fried fish can only do so much. There comes a time when you want to taste something different with an aromatic punch and a traditional tang. You want to eat fish in a traditional way that is deep fried and cooked in a spicy masala laden marinade.Eating fish the traditional way has considerably lost its touch since people have become too posh or angrez to have fish the desi way. No matter how much you enjoy the anglicized version of fish, the traditional take on deep fried fish is always irresistible.To satisfy your cravings for a desi take on fried fish there is but one option. The one and only Bashir Darulmahi Restaurant. You seriously will not find a better restaurant that serves desi fish anywhere in the city. Their recipe is so sought after that it still cannot be completely replicated despite several knockoff restaurants emerging here and there.Well baat to sahee hai, itnee ache machee hai kay log chaap rahay hain. So quality wins in the end and what’s real is here to stay for the the long haul. So whenever you want to have fish the desi way, order none other than Bashir Darulmahi. Their special Rahu fish is marinated in a splendidly rich masala mix and a traditional batter that makes the crust unbelievably crispy. 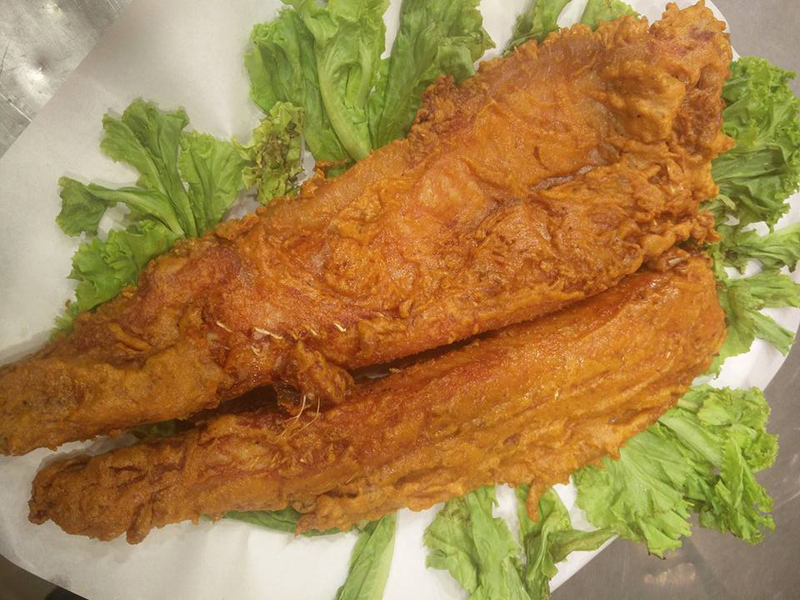 The fish is deep fried to perfection with the flesh being cooked perfectly and moist enough to melt in your mouth.So whether it’s summer or winter, jo bhi mausam ho you can always order from Bashir Darulmahi. Have it delivered to your home, it’s as simple as that. Log on to our website or download the Cheetay App and place your order. Our cheetahs are always on the go and will deliver your order in no time!